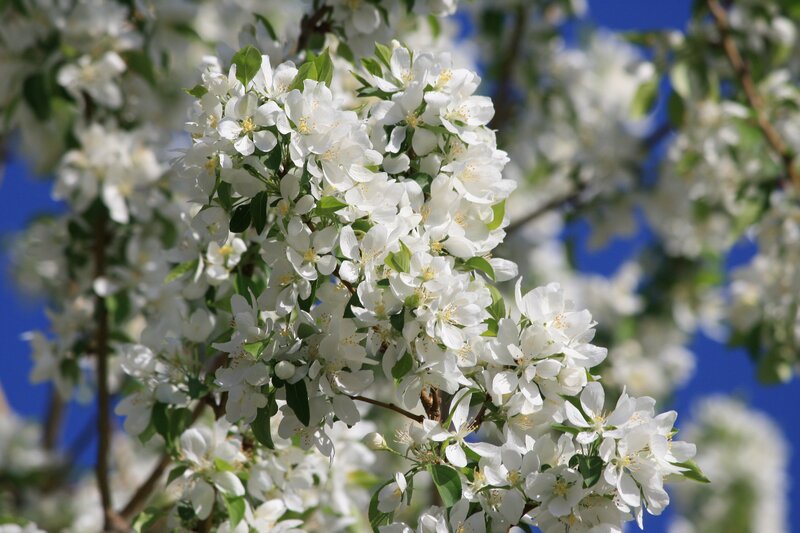 Free high resolution photo of white blossoms on a crabapple tree. Crabapple trees are generally planted because of their beautiful spring flowers, as the fruit is bitter and barely edible. This tree was in full bloom, each branch covered with white blossoms. There are green leaves sprouting and in the background you can see a deep blue sky. Free picture for any use.